The only things that should be flushed are human waste and toilet paper. 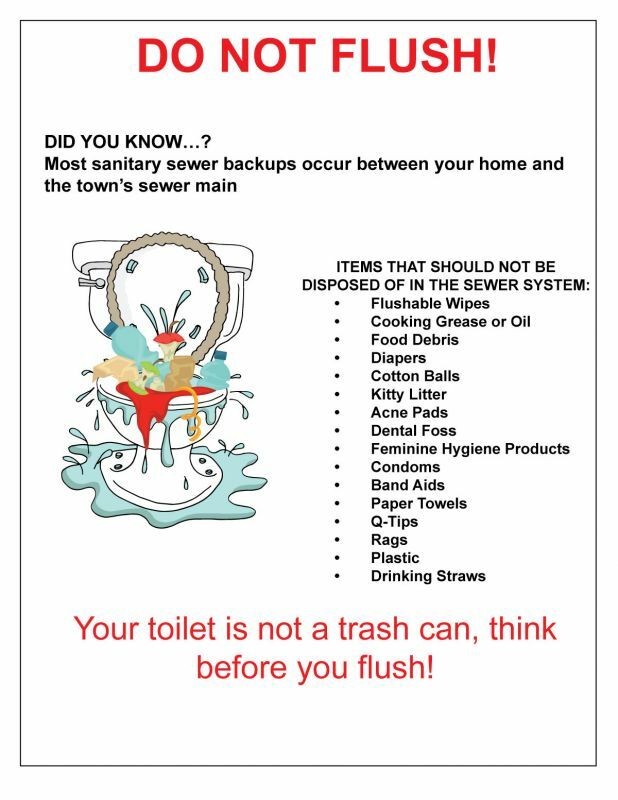 The label might say "flushable" but certain products, including disposable wipes, are clogging our sewer lines and damaging pumps and other equipment. Not only are these problems expensive to fix, they can also cause raw sewage overflows into homes, businesses and local waterways.